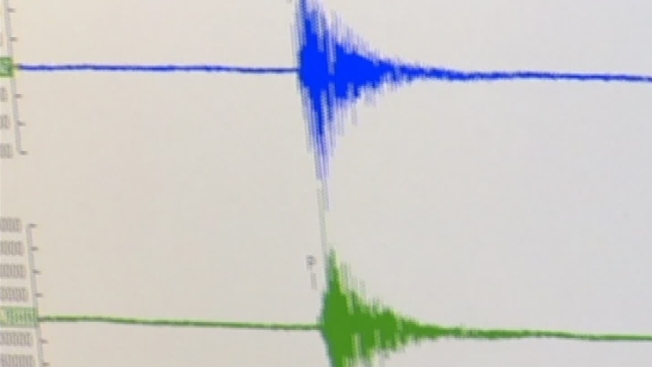 Three more earthquakes rattled North Texas on Thursday, including two in Irving where at least a dozen others took place earlier in the week, according to the U.S. Geological Survey. Both Irving quakes — the first at 4:08 a.m. and the second at 7:24 a.m. -— were measured as magnitude-1.9, and were centered near the former site of Texas Stadium. And a 2.7-magnitude earthquake was recorded at 2:12 p.m. about four miles west-northwest of Midlothian in Ellis County. No damage has been reported with any of these earthquakes.